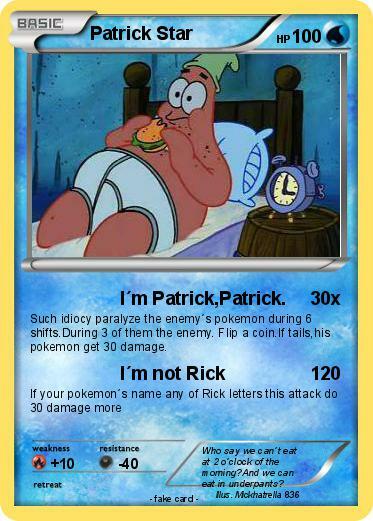 Attack 1 : I´m Patrick,Patrick. Such idiocy paralyze the enemy´s pokemon during 6 shifts.During 3 of them the enemy. Flip a coin.If tails,his pokemon get 30 damage. Comments : Who say we can´t eat at 2 o´clock of the morning?And we can eat in underpants?